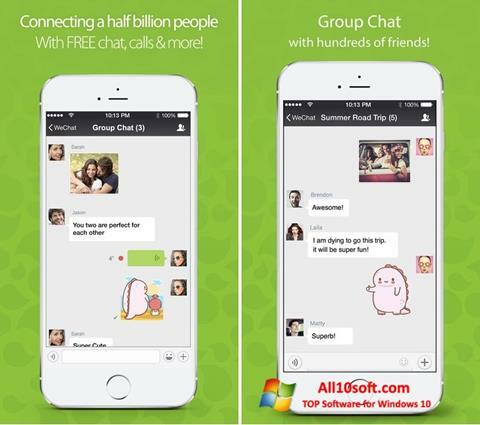 WeChat for Windows 10 - A functional instant messaging client in a popular social service. In addition to text, allows you to share graphic files of different formats. There is the possibility of publishing photos, commenting is available, likes. There is a useful search function. The application has an attractive interface, made in the traditional style. The main window displays the correspondence and address book, in addition, you can add a block with emoticons and stickers. It is possible to create group chats. Voice communication is supported. You can free download WeChat official latest version for Windows 10 in English.